Combining classic style with modern craftsmanship, Rick Hinderer Knives introduces their new MP-1 tactical flipper. 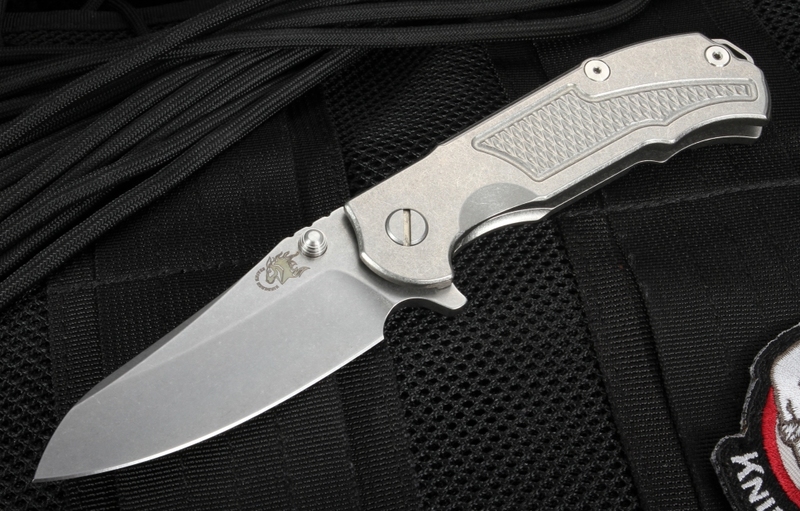 Sporting a handle made of rugged stonewashed titanium along with a durable CPM S35VN stainless steel blade, this knife is both beautiful to look at and reliable to work with. The Hinderer MP-1 (Modular Platform-1) flipper is an American-made high-quality product that should get knife users, collectors and enthusiasts excited. It functions much like Rick Hinderers' famed XM series of knives but updates this classic design with additional features and a bold style. 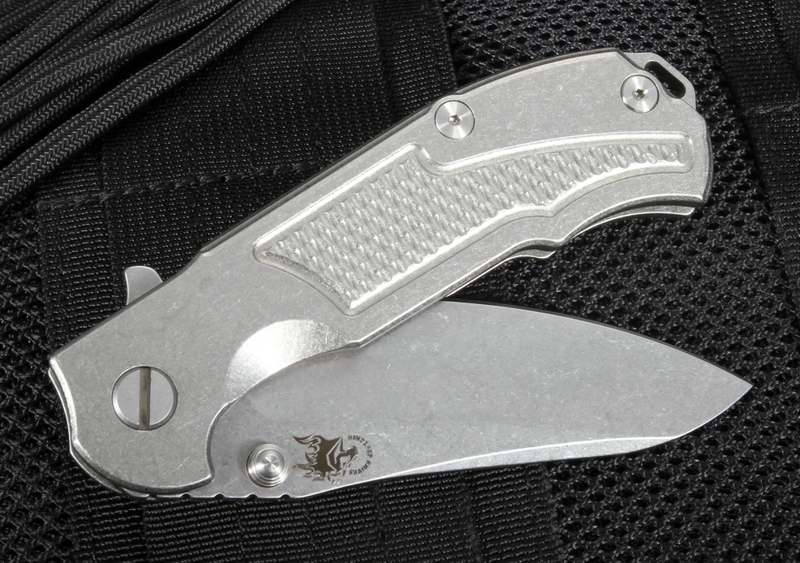 The Rick Hinderer MP-1 is a medium-sized knife measuring 4.5 inches when closed with a 3.25-inch folding blade. 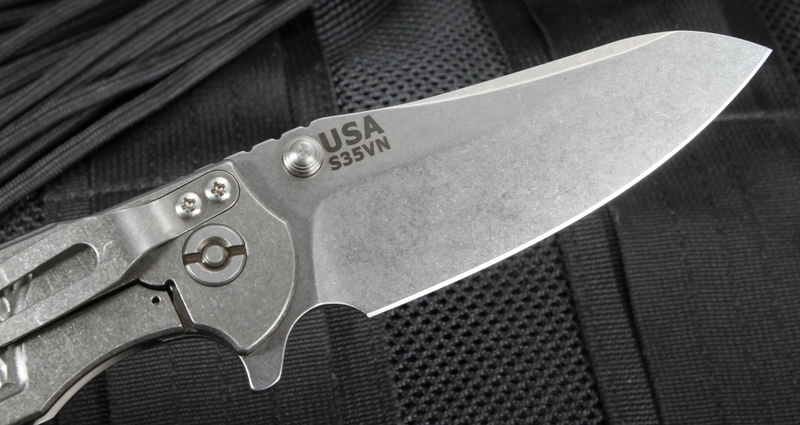 Hinderer Knives uses S35VN stainless steel for the blade on this knife, giving it added durability while being easier to machine and forge than other steels. The CPM process provides an even distribution of carbides for both edge retention and toughness. This high-quality steel with a Rockwell hardness rating of RHC 60-61 means a sharpened blade will keep its edge and won't disappoint when you need it. The classic blade has a stonewashed finish that hides scratches for a sharp, visually appealing blade. 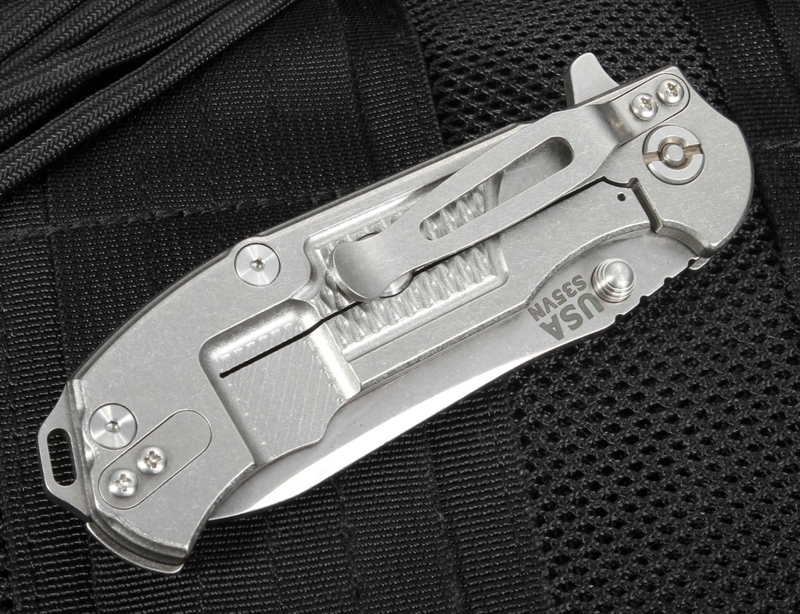 Compact and portable, this tactical folding knife is equipped with both a pocket clip and a lanyard hole in the titanium spacer. With a weight of 5.6 oz., the MP-1 is a great pick for everyday carry. 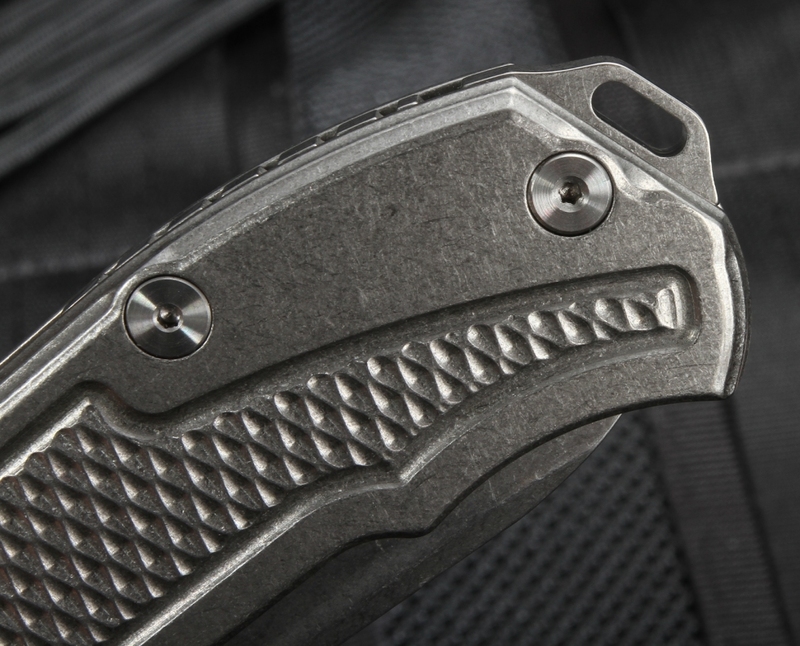 The titanium handle has a machined handle scale on both sides as well as dual thumb studs and a flipper for convenient right- or left-hand operation. The flipper serves as an index finger guard in the open position. The knife is also equipped with a Rick Hinderer frame lock and lock bar stabilizer to help ensure your MP-1 stays open and locked when you want it to. 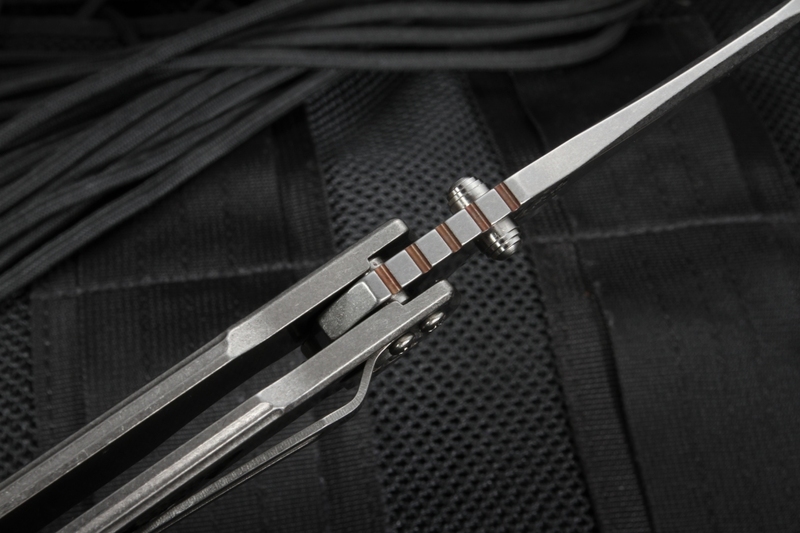 The stonewashed titanium pocket clip can be mounted blade tip up or tip down, based on the user's preference. 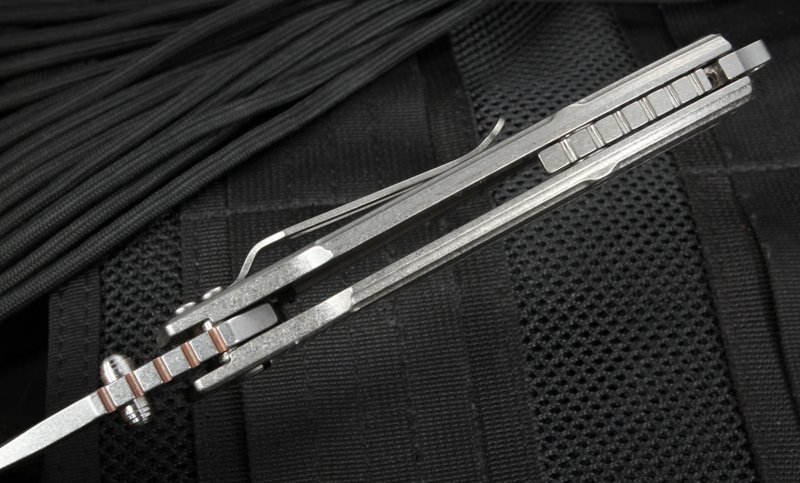 It also features the Hinderer Modular Backspacer System (HMBS), letting users switch to their favorite backspacer without disassembling the entire knife. If you need a quality American-made knife that is dependable and stunning, look no further than Rick Hinderer's new MP-1 tactical folding knife. It's the perfect balance of stability, beauty and durability. Since being introduced in 2016, it has impressed the knife community around the world. KnifeArt has fast shipping on the Hinderer MP-1 folder whether you need it in the Mojave Desert to the Arctic. We also have a 100 percent satisfaction guarantee on top of Hinderer Knives' lifetime warranty. This was my first purchase from KnifeArt and I am very pleased with how my order was handled, packaged and shipped. I am also very happy with my Hinderer MP-1, but who wouldn't be?